Home / Uncategorized / That’s a Wrap! Neapolitan Sundaes: Most of my thoughts on this one were captured on my previous blog post. Definitely fun, probably a better cardboard tile game rather than card game, and the theme on this one could be tinkered with. Will keep an eye out for it for sure! 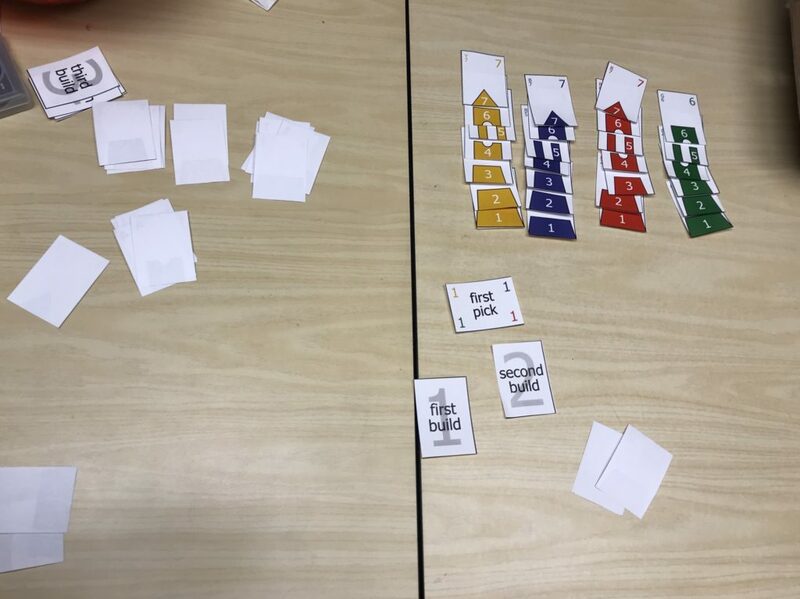 Panoramic: This one is a two player tableau builder where you have the same bidding cards & overall bidding value as your opponent over the course of the game. The best part about this one is how scoring is determined. As you bid & win cards you can either place them in your panorama (or your opponent’s in cases where they hurt their layout) or you can use the card to lock in an endgame scoring parameter. On top of that, when you lock it in you lock out another option. Really keeps the game dynamic and puts emphasis on which cards to go after and when. With some cool original art & graphic design this one could be a great light-weight card game. 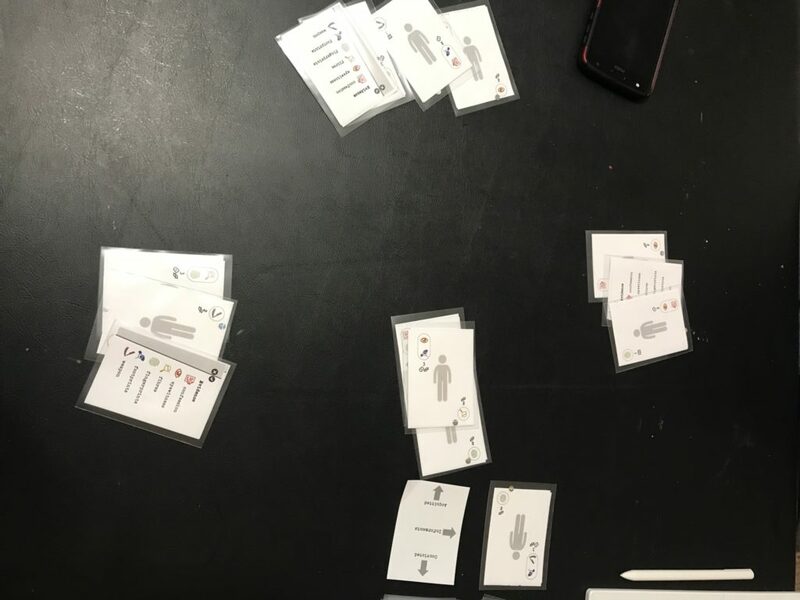 Repertoire: In this two player deck-building game about fencing, you are balancing your decisions to either attack your opponent or acquire special move cards to your deck (adding to your repertoire!). As offensive & defensive skills become available to add to your capabilities, you are trying to balance what you have in your hand to either come in with a crushing blow or defend against the same. And as you take damage that can’t be blocked you have to permanently dump cards from your deck, and whoever has the fewest cards at the end of the game loses. It probably needs some tweaking as the first portion of the game is a little slow during the build up of your deck, and it feels like there needs to be a little more offense & a little less defense to increase the tension. But the core mechanics are really good, and the original artwork for the cards turned out great! Saint Poker & Board Game Smugglers: These were games that used a standard deck of playing cards. And they were some of the most fun we had playing! Saint Poker is basically Texas Hold’em Legacy. After a hand you get to draft cards on the table from other players hands & the community cards to form your hand for the next round. Each round is worth more and more points, and you can retain some knowledge of what cards are gone to help you plan for the next round or two. The right kind of brain burn and it worked really well. Board Game Smugglers is all about bluffing and misdirection, which really hit my wheelhouse. I was just manically laughing about every move, and was yelling at the other guys when they would screw me over. It really didn’t have “take that” mechanics, but it still had that feel. For some reason that’s what made it shine. Building Blocks: This cooperative game is really straightforward. You’re trying to build 4 colored towers from 1 to 7. There are a few more of the base cards but the top 3 cards of each tower are unique. You can skip levels (i.e. a tower that goes 1-2-3-5-7 is perfectly legit) but your score drops for every card you miss. As a group you go through a decision process to see what order you place that round. You then take turns placing whatever cards you can on the tower. Or you can “pass” by discarding cards. And the entire time you basically can’t communicate with each other… AARRRGGGHHH!!!! It’s so frustrating but rewarding at the same time. “Why did you take the first player card!?!? !” “Why did you discard a 5!?!? !” “NOOOOOOOOO!!! !” The game shines when you have to decide on which cards to hold in hopes of getting the perfect tower but also avoid being forced to dump them later when someone can’t put down a stupid 4(!!!). We immediately wanted to play it again when we finished the first time we tried it. And on our last test day we wanted to play it again after we finished… and a 3rd time… and a 4th… It’s just really good! Fallen Angels: Surprisingly another cooperative game (as a group I’d say co-op games are lower on our list, which is why we were shocked our top two were those types). And it’s really clever. I mean reeeeeeeeeeeeallly clever. Once you set it up you have a handful of cards fanned out so you can see either a) a single symbol or b) a pair of symbols. On the other side of the cards (what your teammate’s see) is either a) that symbol plus another or b) only one of the pair of symbols. 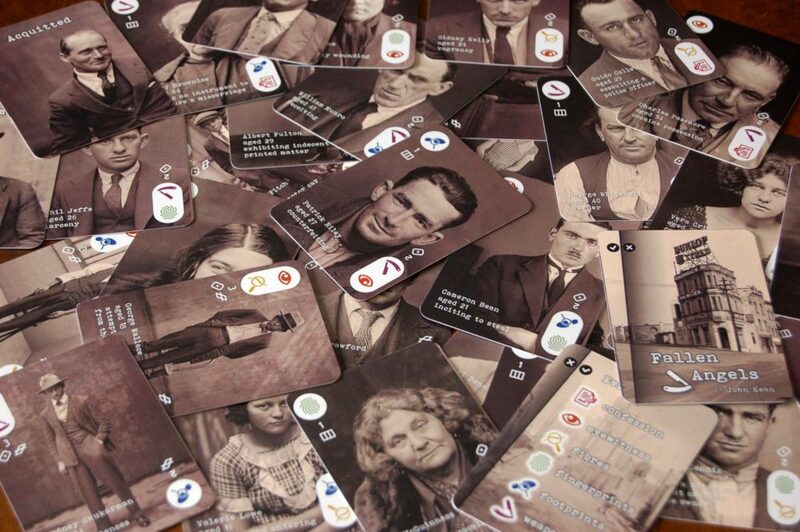 On your turn you pick a card and you are trying to deduce what your teammates are seeing on the back of it. They will rearrange their decks based on what they see in their hands so that symbols that match what they see are on one side of their hand and ones that don’t match are on the other side. You then use that information to figure out what is on your card. But it’s mindboggling! Because you only see what they aren’t seeing, and are trying to guess what they can see to narrow down on what you don’t see… Confused? Admittedly, it takes a round or two to wrap your head around what’s happening. And at first, once you get a grasp, it seems easy. But then cards start leaving your hand and the information available starts to dwindle. And then you start having to get help from informants. And then one of your clever teammates saves you by guessing what only you can see based on your “ummmmmmm”-ing and “ugh”-ing. As you can tell, it’s super hard to explain without playing it. But once you do you a) need to take a 5-minute break to let your brain unravel and b) start a new game. And all of this doesn’t take into account the amazing photos & really cool info that John unearthed as a part of the theme. In any case it’s just a winner. Enough rambling. 🙂 All of these designers are awesome and I’m so happy we ran the contest. It was a challenge to get through all of the entries but I think it really helped us hone our judgement skills as far as thinking about which games were marketable, publishable, needed work, were almost there, etc. I can’t thank the designers enough for putting the hard work and dedication into making their games. We may tweak a few of the parameters for next year’s contest but there will definitely be one! I’ll be back later this week with some more info on Black Sonata, as well as maybe an insight or two that I’ve run into setting up the company. Previous post: Business is Picking Up!